Really like it. Wish it was updated a little more often. So I think I like the app so far- easy to use. I'll know more on brew day!! First, I use this app all the time! I can easily find my recipes and gather ingredients at the LHBS. More importantly, this is a very basic app. If you have already built your recipe and don’t need to alter anything it will show you exactly what you need. It does not connect/search user recipes which would be nice. I’ve been using this app for over a year now- just a couple of minor issues I’ve had- there’s no way to put in a new value or different fermentable. 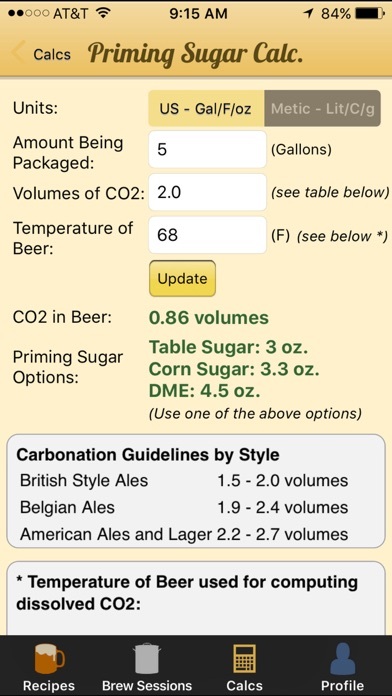 I’ve been making ciders and beer with apple juice as a source of sugar and I cannot predict the outcome like you can with the recipe building section. Also when adjusting your recipe if your efficiency is set low, as in the case of seeping grains (I’ve seen estimates as low as 25%) and sugar is imputed as a fermentable the same 25% is applied to your sugar. Overall this app is fantastic. 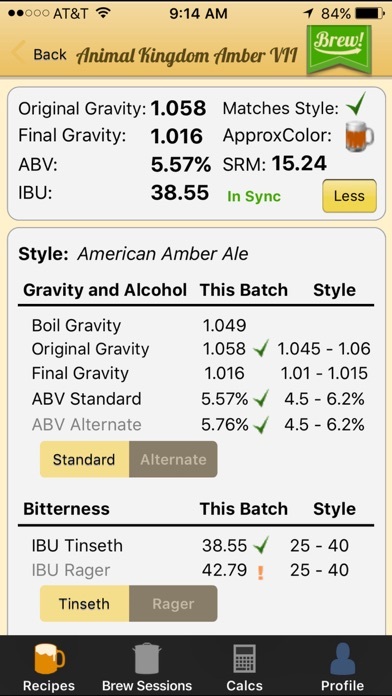 It’s a great tool to tweak your recipes to make sure your abv isn’t going to be crazy (and I like my abv around 14%), to predict the color, to calculate your actual abv, to prime your beer. If you’re just starting out this is an app that will help you. This app works very well, but the only way to import recipes is to get a gold subscription on their website. 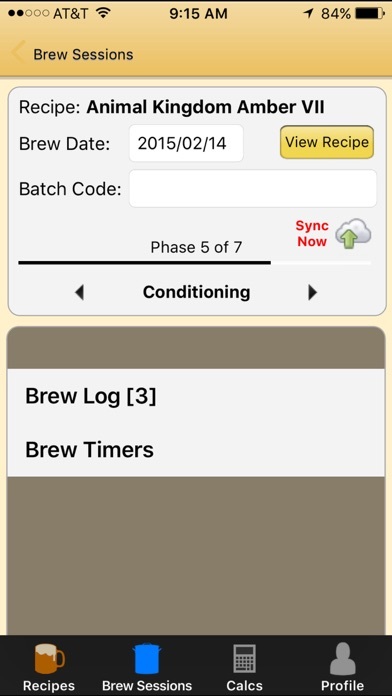 That’s a non starter for those of us who might be coming from another app (Brew Pal I’m my case, which seems to have vanished from the AppStore) and just want to bring our recipes with us! Sent them a message a week+ ago and have had no response as yet. What a waste of $5, but I’m partially to blame for not looking into the feature before purchasing the app. 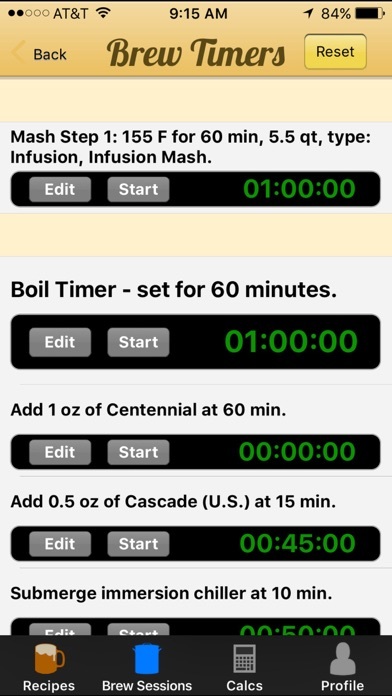 A great handy App for Brewers, both for composing recipes to a BJCP STYLE and to have at hand on brew day. 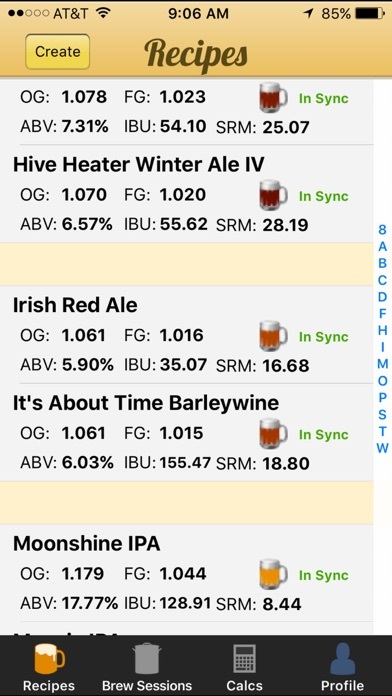 I learned about it from Brewer’s Friend Free, and it’s well worth the $5.00 USD. So far my only dislike is no Ipad support and no landscape support. Since all the calculators are available for free on the website, it’s incredible that they would only include a tiny selection here. Furthermore, it looks like it was designed in the ‘90s and still doesn’t support the iPhone X screen layout. I do like the ability to save your recipes and notes. It’s pretty clear this was designed as a quick project, but has not had the design input or even just the dedication that the website has. And that’s pretty poor, considering the website is free. My recommendation: use this to save recipes. But just pull up the website on your phone and ignore the app calculators. What a shame, this had the potential to be great. And that is what I use it for. When I purchased I had a degree of trust for the product based off of the BF website. I was slightly. disappointed it doesn't contain the full range of brew tools found on the website, especially water calculations. However as I wanted it for an on the go/convenient non-internet reliant recipe creator that I knew would be reliable and accurate, I'm pleased. It works great and is easy to navigate, fairly intuitive navigation. I've used seemingly all the free online recipators and this app is worth the $5 to have on the phone, good value! Still a few options I’d like to see, but nothing that’s a deal breaker.